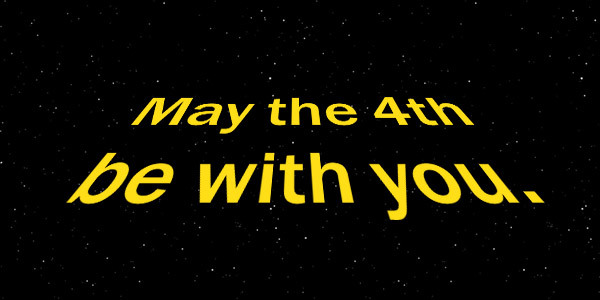 May the 4th is Star Wars Day, for obvious reasons. And this was all the excuse I needed to write a post about some hidden HootSuite Jedi secrets, and fill it with more Star Wars references and puns than the Mos Eisley Cantina is full of a wretched hive of scum and villainy (Why else would Han shoot first? Which he did, by the way. That’s not a metaphor or a pun, just a point of fact). If you want to tap into the force, read on. By the end of this post, you’ll be using the dashboard with Jedi precision. These tips are more than just bantha fodder. And thankfully, no Bothans had to die to bring you this information. Only a Padawan Learner would make the mistake of actually typing a username (and the @ symbol) into the HootSuite compose box. Want to save some precious keystrokes? Simply drag-and-drop avatars into the Compose box to fill an @mention, and Owen’s your uncle. Despite what the heading above would suggest, it doesn’t require the kind of accurate precision required to destroy the Death Star (or an innocent womp rat) in a single shot. It works for lists, too. Drag that profile pic onto your list stream, and they’ll be added. If I were Yoda (which I’m not), I’d say “Judge a link by its size, would you?” Always shorten your links with the link shortener (Ow.ly), and you can track the “click” success of every link in every tweet. But for this next tip, size does matter. To monitor everyone who is sharing your blog post, create a search stream and in place of a search term, use your entire url, in quotation marks. Then every retweet, whether native or web, will show up— along with anyone talking about it who isn’t mentioning you or using your shortened link. Have you tried Autoschedule? While its algorithmic secrets are harder to get ahold of than the plans for the Death Star, it’s almost as useful to the social media Jedi as a lightsaber is to…you get the idea. It chooses the optimal times to repost your tweets. The thing is, you might not always agree with its choices, or you may wish to optimize them. Here’s a little trick I use: Click over into Publisher view, and check out the choices Autoschedule made for you. Don’t like them? Navigate to the Calendar view, and drag-and-drop them into the time slots you want. It’s much faster than re-composing and scheduling. By now you’re almost as fast as the Falcon doing the Kessel Run. Since our team is responsible for so much content each day on our main channels, we start with an “editorial calendar” using Google, and plan our social messaging around it. After all of our social updates are composed and scheduled, our Publisher list view is full of updates. Now, we can take all of those messages and make them visible in a Google calendar (or any spreadsheet, really) with a few simple clicks. In Publisher’s List view, click the small radio button below “Filter by profile,” and this will select all of your updates. Now, to the right of that button, Click “Export to” and choose “Google CSV.” You now have a Google Calendar-friendly file that can be easily imported to your Calendar, should you wish to let the Jedi council (or you know, team) see what to expect over your social channels in the coming days and weeks. I hope you enjoy Star Wars Day, and make use of these Jedi tips. When we started, you were but a learner, and now you are a master. Learn more, would you? Check out these HootTips, or take your training to the next level with HootSuite University.